Togo has been plunged into a political crisis for months as opposition party supporters demand an end to the Gnassingbe dynasty. 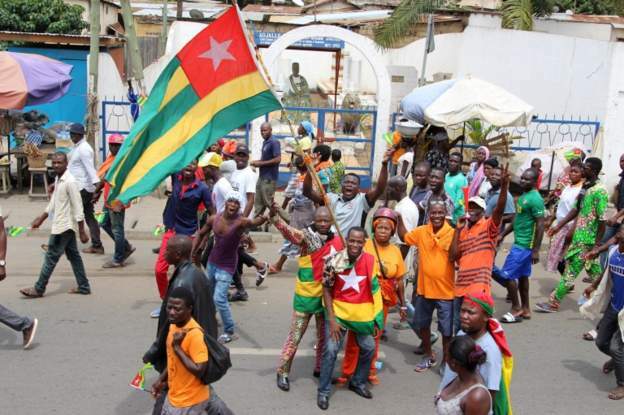 Togo’s main opposition coalition has announced its decision to boycott next month’s crucial general elections. The coalition is unhappy with conditions set out for the polls. It’s leaders have called for more protests over the issue. The Gnassingbe family has been ruling the country for over 50 years now. Demands for current president, Faure Gnassingbe who took over from his father in 2005 has been met with security crackdown. The regional bloc ECOWAS has been trying to resolve the political crisis ahead of the December 20 elections. 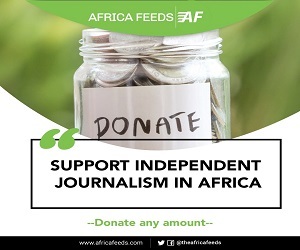 But the main opposition coalition in Togo said on Monday that the December 20 general election is a “fraudulent” poll. The agitation from the opposition coalition follows the decision by Togo’s Constitutional Court to exclude the 14-party opposition coalition that staged protests against President Gnassingbe. The court however validated ballots for 12 parties and that of 17 other independent candidates. Adjamagbo-Johnson says his coalition “will do everything so that the elections don’t happen – we never want fraudulent elections in Togo”. The Togolese President took over from his father Eyadema in 2005 after he died while in power for 38 years. He has since won elections in 2005, 2010 and 2015. 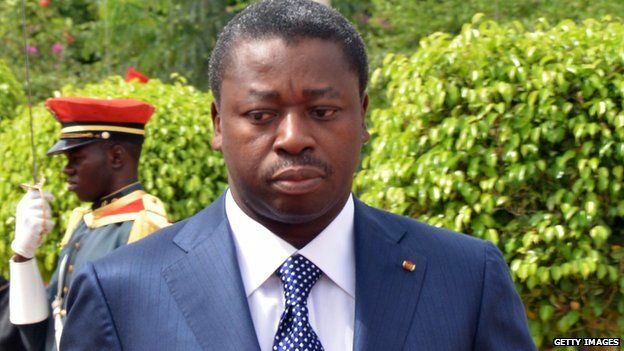 Faure Gnassingbe has been in power since 2005 after the death of his father. Gnassingbe got the two-term limit for the Togo presidency scrapped a year ago to allow him to further prolong his rule. The government has called for a referendum on the introduction of the two-term limit. But there are fears it would further prolong the presidency of Gnassingbe until 2030.